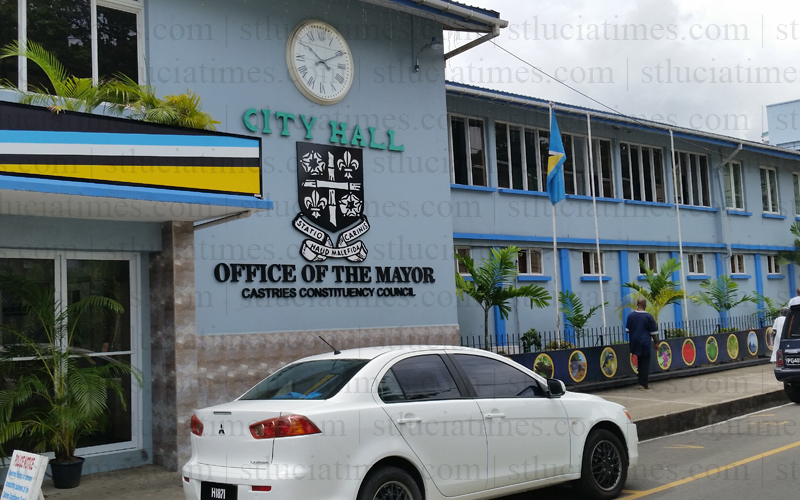 Employees of the Castries Constituencies Council (CCC) downed tools Monday morning in what one of the workers said was a ‘sit in protest’ against management plans to introduce new working arrangements. According to the disgruntled employee, the protest is over plans to introduce extended working hours and a new shift system. “It not going to work,” the employee, who spoke on condition of anonymity, told St Lucia Times. Some 50 employees of the Sanitation and Works Departments were involved in the protest Monday morning, it was reported. They gathered in the CCC yard to await the arrival of representatives of the National Workers Union (NWU), which is their bargaining agent. The employees said they were awaiting direction from the union. Union and CCC officials were not immediately available for comment. This could all be avoided however only when politicians and high ranking civil servants grasp the idea of true transparency and consultancy. You can’t just impose changes to staff work patterns and not consult and inform them. All be it that the changes may optimise performance you have to involve the people who will be affected. You just cannot push things down people’s throats without consultations. I like when the ‘small man’ stands up for his rights. Sanitary workers are people too. Their job is just as important as any. If it is longer working hours and same low, unlivable wages, no way. Many Ministers of government are handsomely rewarded for doing little or nothing but the hard working sanitary officers must do extra work without an increase in wages. How can that be right? Amen to that. Fight for your rights people. Too often we are complacent in this country. BLUEWATERS,HOTEL STAFF AND EVERY EMPLOYEE NEED TO DO THE SAME….. I thought this was the rose garden of the palace? You just cant change the rules of the game,with out doing a proper consultation with all your work force,When you try to do these things the first thing you loose is the respect of your workers,this is how they realize how useless you are at implementing working practices and mantaining a good relationship with your woekers. The articles quoted by Mr.Francis did not mention anything about a shift system.This suggest to me that if he wanted to introduce such a change he would have had to consult with the workers representatives.If it was only about the employees working the eight hour day then that would have been a different matter.lf a shift system is in place the Collective Agreement signed between the union and employer always clearly says so.